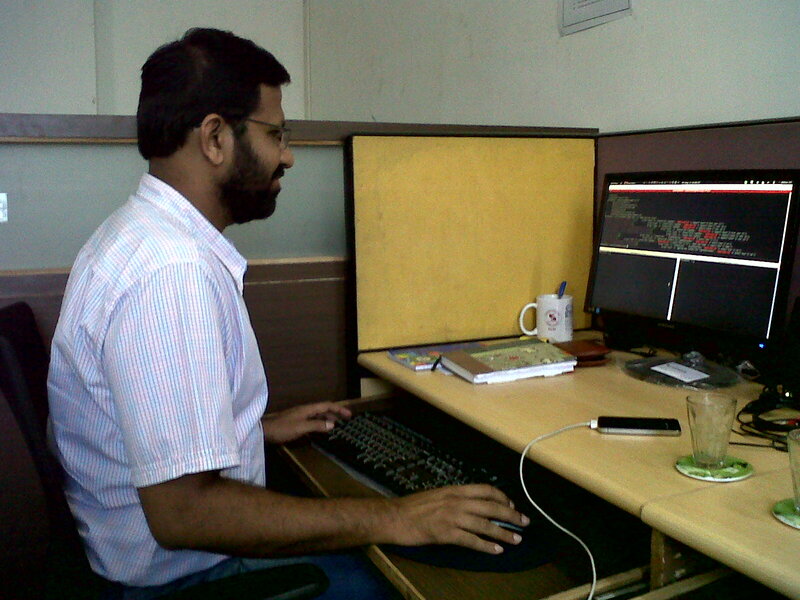 The year was 2012 and I was happily working for a web development company. I had been at this job for more than 8 years and it never came to my mind to go and start my own company. Then in May 2012 one of my close friend put the idea in my mind and encouraged me to quit my job and start my own company. That is when Ranium was first conceptualised. This same friend gave me the loan for the initial setup. I tendered my resignation at the previous employer and set 2nd July 2012 as the date to start the operations. The first tough task was to find the right people who would join this company which didn’t exist yet. I knew a couple of programmers who were between the jobs and asked them if they would like to join and luckily they agreed (on a much lower salary than their last jobs). They were Rita Gaherwar and Pallavi Dighe. 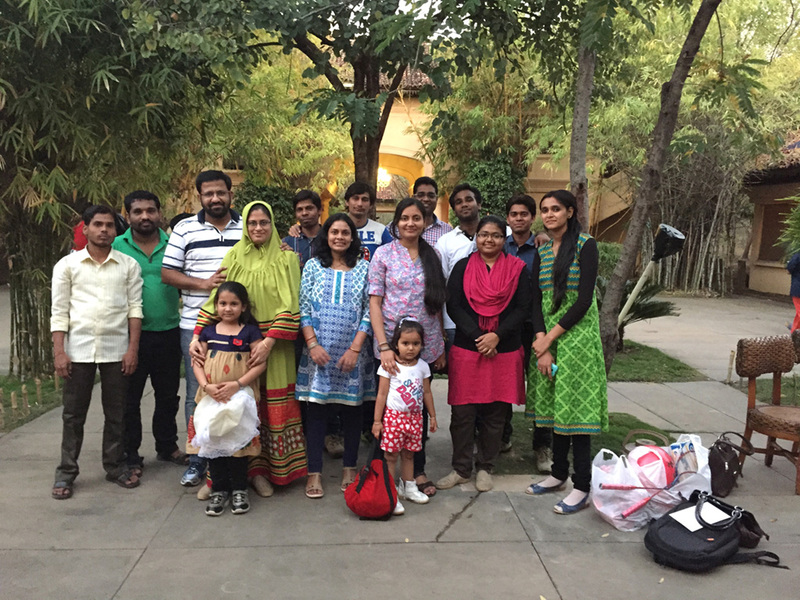 At the same time we got our first project and we were all set to begin on a challenging journey. Back then, CakePHP was our framework of choice (and we still use it in a lot of projects) and we used it to deliver our first successful project. Other technologies that we used for our first project were jQuery, and Bootstrap. Soon after finishing our first project we got a new client from the reference of our first client. This meant that we did a good job and delivered a quality first project! Abbas busy working on Ranium’s first project. 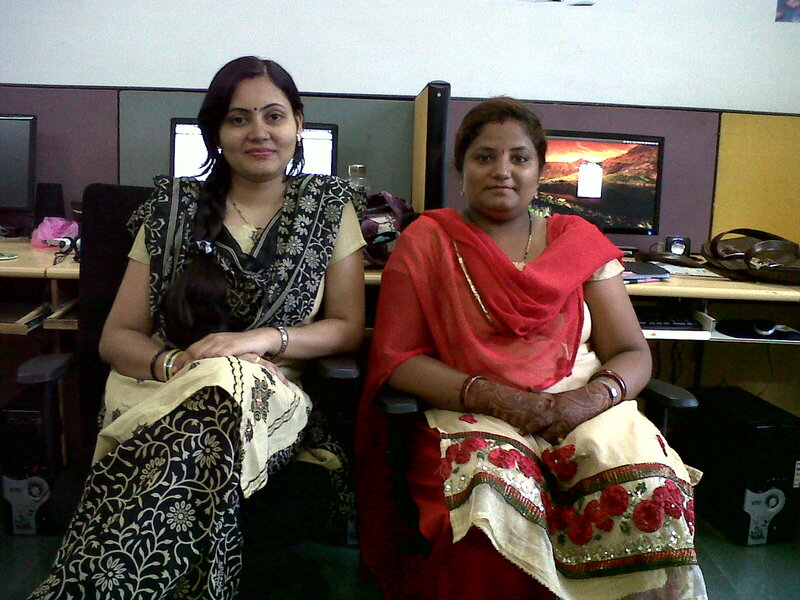 Rita and Pallavi on the very first day at our first office. 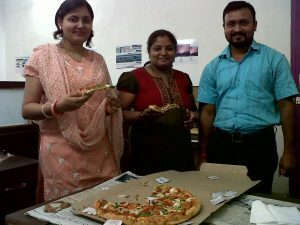 Team celebrating the first salary. By the end of 2012, we were a team of 6 programmers and had delivered around 3 projects. ULukGud – One stop place for wellness and beauty. Built their web as well as mobile apps for iOS and Android. During this period we constantly grew from 6 employees to 20 and had worked for over 20 different clients/companies. In May 2015, we incorporated our firm to a Private Limited Company which was a landmark for us. We also got enrolled with employee benefit schemes like Employee Provident Fund. In September 2014 we started working on one of the biggest and most challenging project, https://www.evesleep.co.uk. 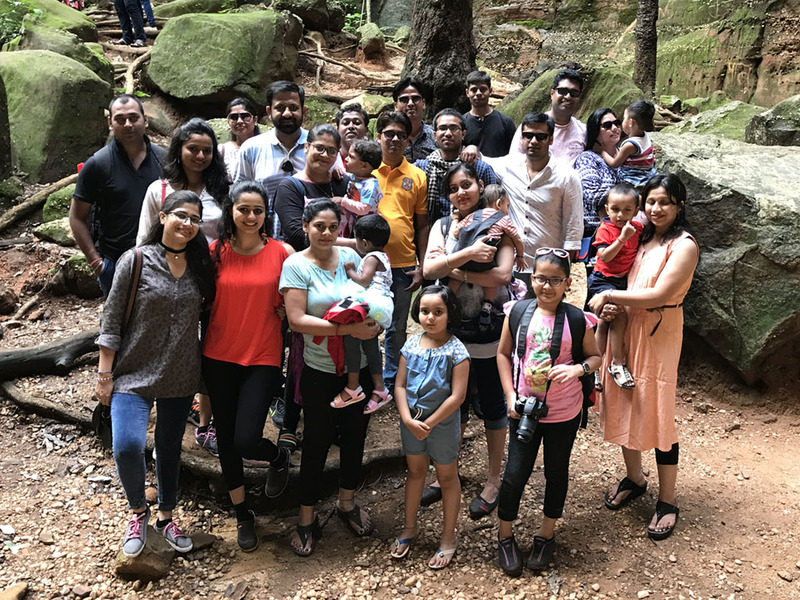 We helped this startup grow from just the founders to a public limited company with a team of 200+ employees in 2 years. We scaled the eCommerce store, with backend built in Magento 2 and frontend in Laravel, to handle thousands of concurrent users. At this point we were growing and our office space allowed only a maximum of 20 workstations. It was time we moved to a bigger and better office. On the occasion of 6th anniversary of Ranium, we moved to a new, modern, bigger and better office. This boosted everyone’s morale as it was a clear sign that Ranium was growing and so were the employees. By the end of 2018, we had served around 50 clients with more than 50% clients being those with whom we have been working for more than 4 years. In our 6 years of existence, we haven’t had a single client who was dissatisfied with our work. In 2018 we picked up some new capabilities and expertise notably Python programming. 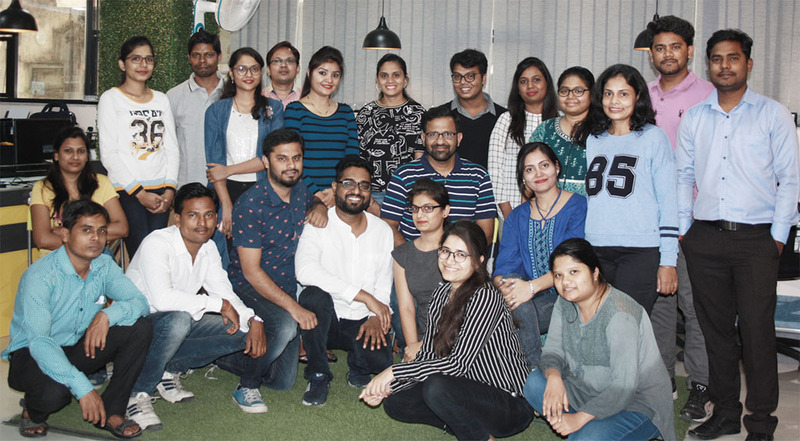 We also on-boarded employees for new roles like Quality Assurance Engineer, UI/UX Designer, Business Development and Customer Relations Manager and Digital Marketing executive. Ranium is picking up new technologies and expanding its services. We have begun working on Blockchains, Cryptocurrencies, Machine Learning, and various other futuristic technologies. We intend to build a good portfolio for all these technologies in 2019 and beyond! A BIG Thank You to everyone who supported Ranium in its success story – the employees, clients, friends and family. CEO	,	Ranium Systems Pvt. Ltd.
Abbas is a seasoned programmer with over 15 years of experience in software development. His core expertise is web development using PHP, Laravel, NodeJS, VueJS, and various other open source technologies. Abbas is also the author of the book Sphinx Search: Beginner&apos;s Guide published by Packt Publishing, UK. Abbas is an active open source contributor with Coppermine Photo Gallery being one of his most popular projects having millions of download on sourceforge.